Dr. Michael Long joined Ironwood Cancer & Research Centers in January 2012. Dr. Long was born in New York City. He earned his medical degree at the University of Brussels, Belgium and completed his residency in Internal Medicine at the New York Infirmary/NYU Medical Center. Dr. Long went on to complete his fellowship training in Hematology/Oncology at New York Medical College and is board certified. Dr. Long has been practicing medicine in Arizona since 1989 and is currently founding the medical director of Banner Hospice. 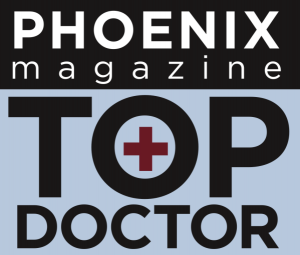 He maintains an active practice working in all areas of hematology and oncology Dr. Long also received the patient’s choice award in 2012 and has been recognized by Phoenix Magazine as “Top Doc”. Read more about Dr. Long here. Dr. Long accepts patients at our Mesa (Arbor) location.